Recorded Live at The Nassau Coliseum, Uniondale, NY, USA - February 25, 26 & 27, 1980. Files: 90.:: Size: 1.96 GB (flac). Personnel: Roger Waters, Rick Wright, Nick Mason, David Gilmour, Snowy White (guitar), Andy Bown (bass), Peter Wood (keyboards), Willie Wilson (drums). Notes: Including: 3 Double CDs plus 12 Page Booklet, 24 Page Tour Book and Poster. Recorded Three Nights At The Nassau Coliseum, Uniondale, NY. Everything is included in this download. 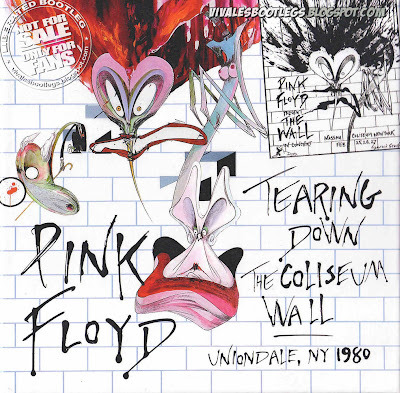 Pink Floyd played five sold out nights at the Nassau Coliseum on the short but expensive Wall tour in 1980 and 1981. All five were taped from the audience with the final night on February 28th being the most popular show to appear on silver releases. 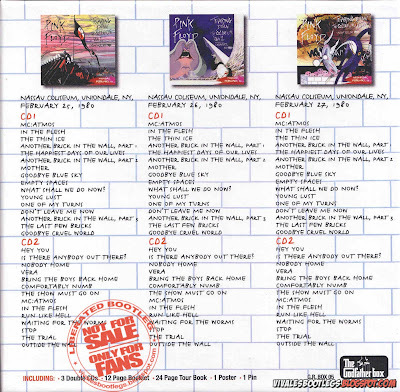 On Tearing Down The Wall the Godfather label present the three rare middle shows, February 25th, 26th & 27th. The February 26th show was included on the four disc set on Sigma Your Favorite Disguise (Sigma 23), but the second and fourth concerts from the New York shows are making their silver pressed debuts in this box set. The packaging is also excellent. It includes a mini tour program, liner notes, and a button commemorating the gigs. Tearing Down The Coliseum wall is the most impressive Pink Floyd release since Behind The Wall (Stonehenge Records STBX 022/23/24) came out in 1993, which contained the Feb. 28th show along with the Los Angeles rehearsals and Roger Waters live tracks from the early nineties. Tearing Down The Coliseum Wall is a tremendous release by Godfather for the art design and mastering of the tapes. 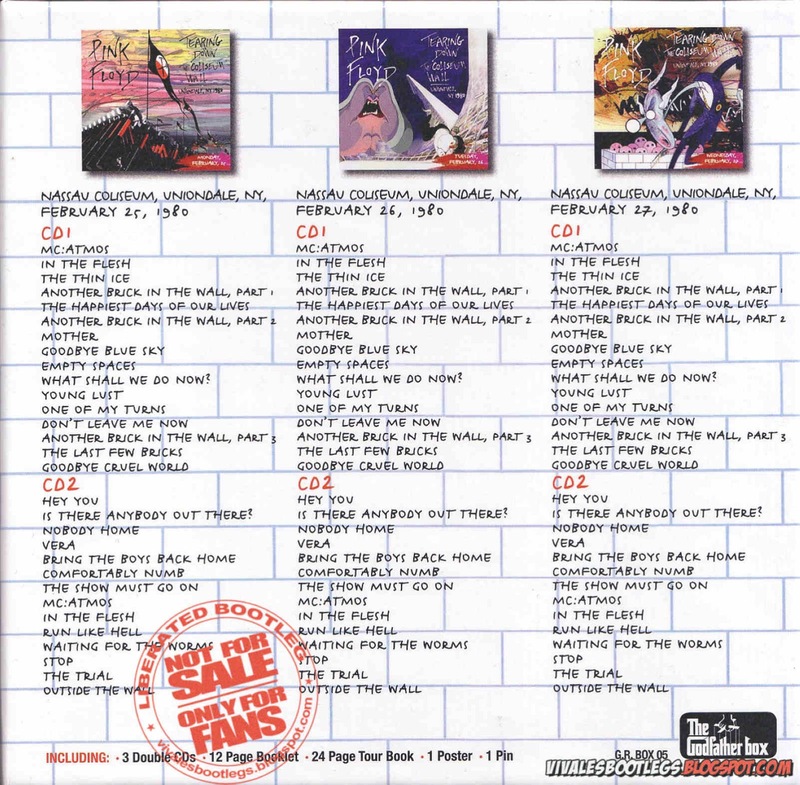 Although the February 28th show is the definitive New York Wall show is not included (it’s been out many times before and Godfather wants to tread new ground), all these shows have very good sound and are very exciting to hear. And the packaging makes this one of the most beautiful releases of the year..<- Info taken from original nfo file, hokafloyd dot com and collectors music reviews dot com">.